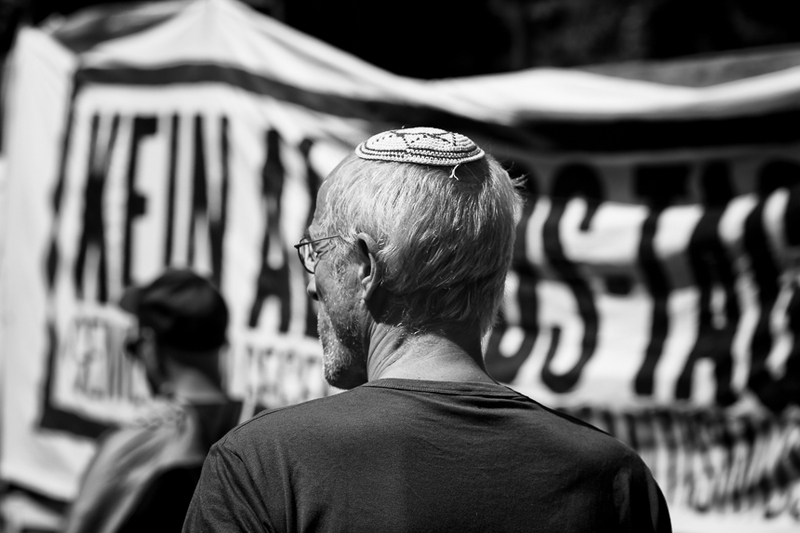 Hundreds attended a demonstration in Berlin against the annual anti-semitic Quds Day march later this day. The demonstration was organized by left wings groups but also Iranian monarchists joined it. 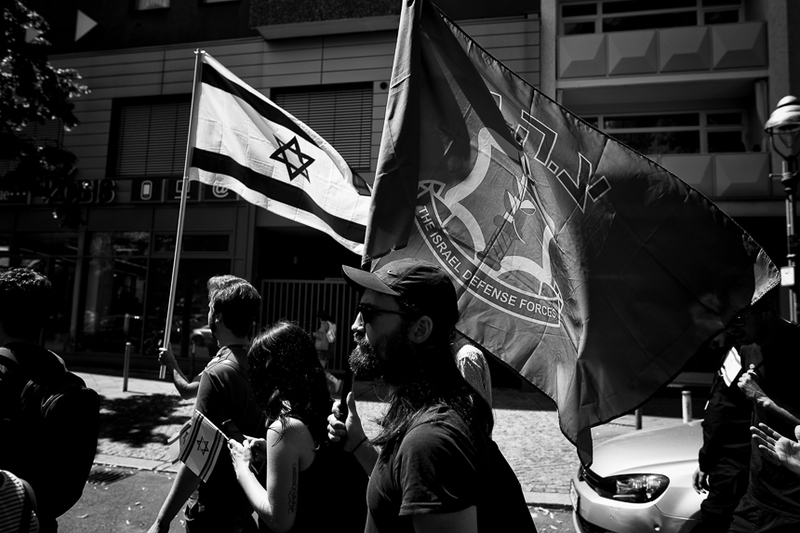 The participants showed Israeli flags and chanted "Free Gaza from Hamas". 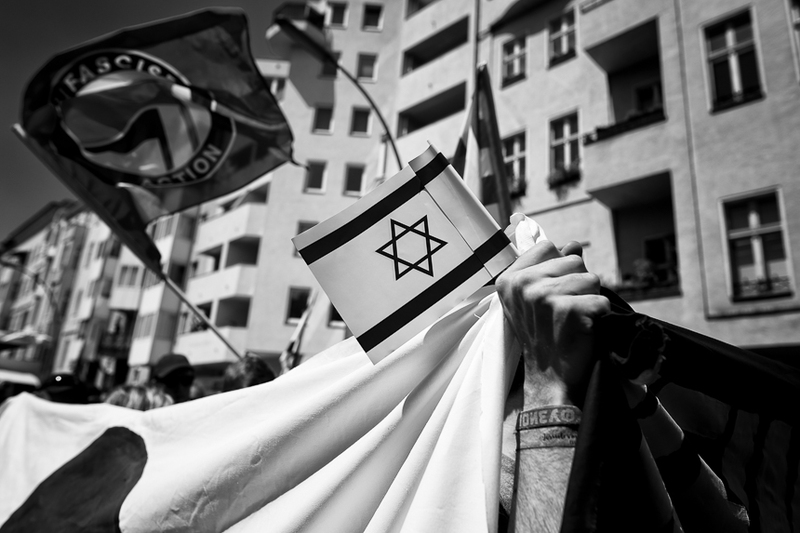 In speeches they called for solidarity with Israel. Small groups protested later at the route of the Quds Day march which led to high tension. Riot police seperated the groups. 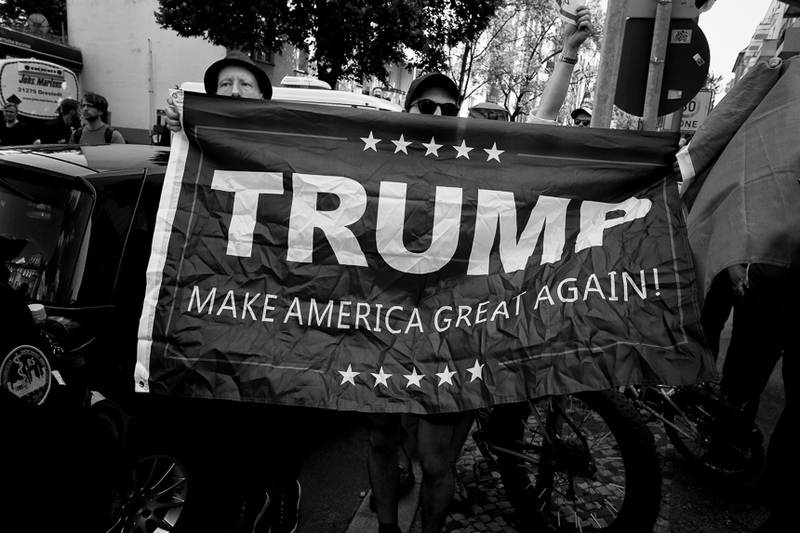 At this protests in solidarity with Israel a flag of Donald Trump's campaign was shown.